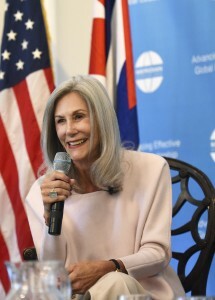 Vicki Huddleston, a career diplomat who was head of the U.S. 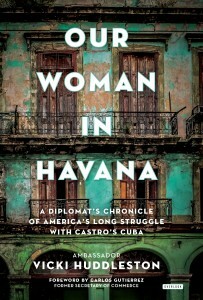 Interests Section in Havana under Bill Clinton and George W. Bush, has written a book about her insights and experiences with Cuba. The following is an excerpt from “Our Woman in Havana”, published with permission from the author and The Overlook Press. For a few months following President Donald Trump’s Miami speech in June 2017, there was hope that the US-Cuban diplomatic relationship would survive, if not prosper. But that expectation was crushed by the strange case of injuries suffered by American and Canadian diplomats. In August 2017, the media revealed that American diplomats had suffered hearing loss, nausea, and traumatic brain injuries from some sort of sonic attack. A number of the incidents occurred in the homes of diplomats responsible for security and intelligence between November of 2016 and January of 2017. However, a few took place subsequent to February, including the one that became public in August. According to the State Department, injuries also occurred at the Hotel Nacional and the Hotel Capri. None of the attacks, which now number twenty-four against American diplomats and five against Canadian diplomats, were directed at the American embassy. When the injuries first occurred the American and Cuban governments attempted to deal with them in a responsible manner. Raúl Castro sought out the embassy’s Chargé d’Affaires, Jeffrey DeLaurentis, to assure him that Cuba was not responsible, and he invited the FBI to visit Havana; which it did several times to investigate. The State Department expelled two diplomats from the Cuban embassy in Washington D.C., presumably to balance staffing as American diplomats had been forced to leave their post in Havana as a result of their ailments. When the diplomats’ injuries became public in August 2017, conservative Cuban Americans led by Senator Marco Rubio used the incidents to demand that the United States retaliate against Cuba. Ignoring the American Foreign Service Association’s public statement that the diplomats were prepared to remain in Cuba and continue their work, the Trump administration cut the American embassy staff by more than half and sent all dependents home. Bowing to Rubio’s demands, the administration ordered the Cuban embassy to reduce its staff by an equivalent number of diplomats. In addition, the State Department issued an aggressive travel warning, advising American visitors to avoid the island, despite that fact that only diplomats had been affected by the sonic incidents. To restore relations to at least a modicum of civility, the US and Cuba must discover what’s happened and who was behind the attacks, but it has become more difficult as rhetoric from each side has become increasingly uncivil. Nevertheless, we can assume that each government — together or separately — is seeking the culprit or culprits by examining who had motive, means, and opportunity. The possible perpetrators are: the Cuban government, a rogue faction within the government, a foreign power such as Russia or China — with North Korea an outside possibility — conservatives and/or militants in the Cuban diaspora, the America government, or malfunctioning listening devices. The possible explanations, such as our own government and malfunctioning listening devices, may seem farfetched, but this is what the Cuban government now seems to believe. Raúl Castro’s government had means and opportunity, but they do not appear to have motive. 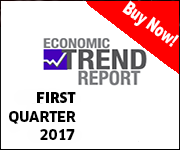 The attacks began shortly after Trump won the election and continued until February, while only a few took place subsequently. Given that Castro was the coarchitect of Obama’s opening, it seems unlikely that he would deliberately destroy the détente with the United States. Moreover, Castro cooperated with the United States in the aftermath of the sonic attacks, reinforcing the idea that his government wanted to amicably resolve the puzzling incidents. As Cuba approaches its first transition in over a half century, it is possible that factions within the government are jockeying for position. A hardline faction associated with Fidel Castro, who denigrated the opening before his death in November 2016, would have motive, means, and opportunity. And, if Raúl Castro discovered that an element within his own government was responsible, he might seek to cover it up in order to demonstrate that the country is united as it prepares for a new president. As to foreign powers, it seems likely that only Russia and China — an outside possibility is North Korea — would have had means and opportunity, and even then, they might well have required some cooperation from someone within the Cuban government. Russian military and civilian leaders continue to urge reopening the Lourdes Signals Intelligence base, which until it was closed by the Russians in 2002 intercepted US satellite communications. For its part, China might seek to use Cuba as a pawn in its discussions with the Trump administration about North Korea. Still, I am not convinced that Russia or China would consider an alliance with Cuba worth the risks inherent in attacking American diplomats. 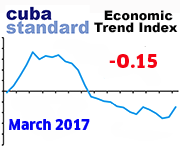 Conservatives and/or militants within the Cuban diaspora may have motive, given their extreme opposition to improved relations. And, in the past Cuban militants have carried out attacks against Cuba and Fidel Castro. In addition, conservative Cuban Americans have used the diplomats’ injuries to criticize US-Cuban relations. But they do not appear to have had the means and opportunity, unless we can imagine them cooperating with hardliners in Cuba who also oppose better relations. Another possibility is that this was not a deliberate attack against the American and Canadian diplomats, but listening devices that malfunctioned. The Guardian newspaper suggested “mass hysteria” based on the opinion of senior neurologists who claimed that they know of no sonic device that could cause the range of injuries suffered by the diplomats, but Dr. Charles Rosenfarb, the State Department’s medical director, debunked the idea of “mass hysteria” by pointing out that “exact findings” on medical tests couldn’t be easily faked. Perhaps then the headaches, nausea, and temporary loss of hearing were caused by the sounds that were described as “high-pitched,” and causing “baffling sensations.” Conceivably, the more serious injuries might have been caused by complications from an illness not discovered until following exposure to the unusual sound. For example, a diplomat who suffered minor symptoms from what seemed to have been a “sonic attack” might later have contracted a virus that led to more serious ailments, including what the State Department is now labeling “mild traumatic brain injury. Still, this explanation is not entirely satisfactory as it does not explain why so many devices would malfunction or why the malfunction would occur only in those devices aimed at American and Canadian diplomats. Even without knowing who or what caused the ailments, it is hard to escape the conclusion that those in the United States and Cuba who opposed engagement have gotten exactly what they wanted. The embassy is barely functioning with the drawdown of half of its American staff, and Secretary of State Rex Tillerson says that he is unconvinced that the alleged attacks are over. Josefina Vidal, a high-level Cuban official who negotiated the details of the Obama opening with American diplomats, says that the Trump administration is simply engaged in an irresponsible effort to advance anti-Cuban politics. Unhappily, for Cubans who were hoping for more economic freedom, the Cuban government is circling the wagons, clamping down on critics and reversing reforms. This should come as no surprise because as has been shown throughout this book, when the United States threatens Cuba, Cuba’s leaders become more repressive. This was the case in 2003 when Fidel Castro jailed seventy-five dissidents in response to George W. Bush’s return to a punitive policy. The bottom line is that given the current state of relations, we are unlikely to discover the perpetrator or the cause of the injuries. The January 9 Senate hearing chaired by Marco Rubio further politicized the issue. Acting Secretary of State Francisco Palmieri intensified Rubio’s demonization of Cuba by testifying that “Cuba is a security state. The Cuban government in general has a very tight lid on everything and anything that happens in that country.” His boss, Undersecretary of State Steve Goldstein was more circumspect pointing out that “we are not much further ahead than we were in finding out what occurred.” Still, he insisted that Raúl Castro “knows what happened.” These statements by US government officials reinforce the idea that the Cuban government must come clean about what happened before semi-normal relations are restored. This assumes they even know why the injuries occurred. Given the current impasse, and the control Rubio and hardliners are exercising over US policy toward Cuba, it is unlikely that either side will admit any fault. And, just to complicate matters, Senator Jeff Flake — long an advocate for engagement — confirmed an AP story that an FBI report concluded that evidence is insufficient to support a sonic attack theory. Adding more muddle to the mystery, Todd Brown from State’s Diplomatic security posed the possibility that someone deliberately infected the diplomats with a virus. Senator Rubio and Representative Mario Díaz-Balart (R-FL) already have complained that the new embargo regulations which were published on November 8, 2018 are insufficient. As Trump promised in his Miami speech, the regulations further restrict travel by individual Americans, but visits by people-to-people groups engaged in cultural, religious, or humanitarian activities are still permitted. The Treasury Department now prohibits Americans from engaging in financial transactions with 180 Cuban government entities that are substantially run by Cuban military or intelligence agencies. Among the business placed on a “restricted list” are hotels, such as Ambos Mundos (Two Worlds) where Ernest Hemingway lived when he arrived in Havana and businesses that serve the tourist industry by selling jewelry, flowers, and photographic services. We can expect that Rubio, Díaz-Balart, and Senator Ted Cruz (R-TX) will continue to press their advantage, insisting the Treasury Department issue additional sanctions, further limiting contact with Cuba. Once again — as during George W. Bush’s administration — conservative Cuban American legislators will attempt to force regime change by reducing US contact with the island to an absolute minimum. Their next target most likely will be people-to-people visits and educational travel. As in the past they may also attempt to reduce travel and money transfers by the Cuban diaspora — many of whom are US citizens — who visit family and friends and provide over one billion dollars in remittance. Even the two dozen bilateral agreements will not be immune from the efforts to constrain cooperation between the US and Cuban governments. 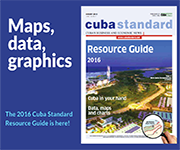 As has been the case in the past, the Cuban people will suffer most from these new measures. The travel warning has already reduced the number of American visitors, harming the small family businesses that sprung up as a result of Castro’s privatization reforms and the influx of American visitors. The closure of the consular section of the American embassy means that Cubans can no longer obtain visas for travel to the United States, whether to visit friends, for medical care, for business, or for cultural, religious, and sports exchanges. Although the State Department has said that it will provide a means for family reunification, as of January 16, 2018 the US embassy in Havana is not issuing visas of any type, neither for those hoping to join family in the US or escape persecution, nor for those who simply wish to visit or participate in cultural exchanges. 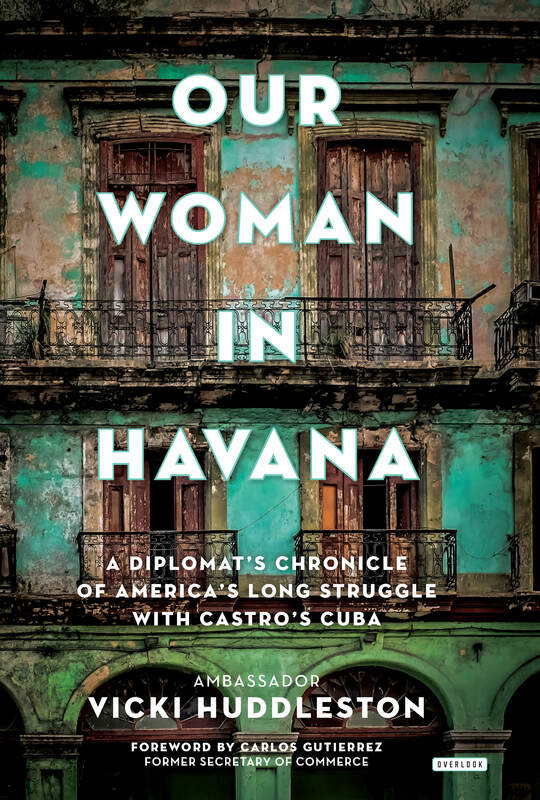 From Our Woman in Havana: A Diplomat’s Chronicle of America’s Long Struggle with Castro’s Cuba, by Ambassador Vicki Huddleston. Copyright © 2018 by Vicki Huddleston. Reprinted by arrangement with The Overlook Press, Peter Mayer Publishers, Inc. www.overlookpress.com, http://www.overlookpress.com/. All rights reserved. This entry was posted on Friday, March 2nd, 2018 at 8:21 pm	and is filed under Politics. You can follow any responses to this entry through the RSS 2.0 feed. Both comments and pings are currently closed.